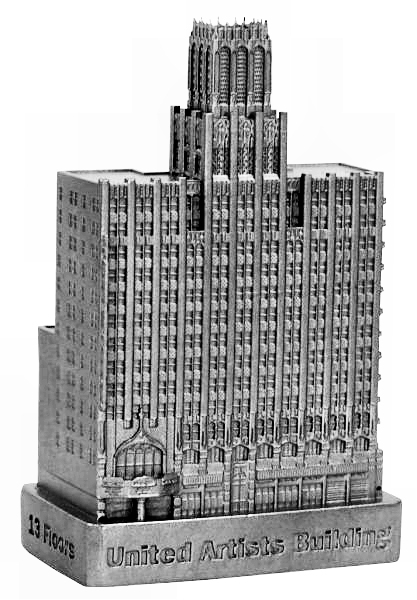 The United Artists Building is located at 929 South Broadway in Los Angeles, CA and was completed in 1927. This building was designed by Walker & Eisen Architects and stands 242 feet tall with 13 floors. The UA building was the theater for United Artists and was the tallest building in LA for one year. This pewter replica stands 3-1/3 inches tall and is finished in new pewter. This model's scale is 1 inch = 80 feet.